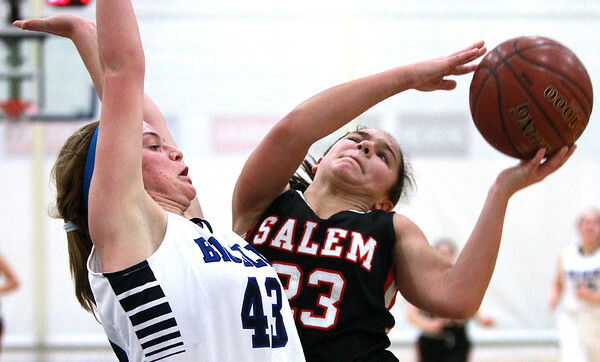 Salem freshman guard Emily Fabre (23) drives hard to the hoop while being closely defended by Swampscott forward Hannah Leahy (43). DAVID LE/Staff photo. 1/20/15.